itch.io Recommends: Awesome projects that aren't videogames! You want games? We’ve got games. We’ve got so many games. There are games everywhere in itch.io HQ. Open a drawer? Boom, games. Trying to take a shower? There’s another game. Pouring your morning bowl of cereal? More like Honey Bunches of Games. So what do you do when you want to check out some of our non-gaming content? Well you can either dig out back for some treasure, or check out today’s run-down of some of our favorite non-gaming content. *We don’t actually have offices, this was just a rhetorical device. Please don’t hate me. Alright people of earth, who told Grant Howitt that he was allowed to make tabletop RPGs? Secondly, why didn’t anyone tell me about Grant Howitt’s incredible collection of tabletop RPGs? I just discovered the joy of these beautiful monstrosities recently and they’ve made me mad that I spent so much time with Dungeons and Dragons. At this point I hope season 3 of Stranger Things is about Howitt’s (with help from others) recent masterpiece Jason Statham’s Big Vacation. Now that I’ve gushed about how rad JSBV is, let me explain what the heck the game is. As you’ve probably guessed, it’s a tabletop RPG about action hero Jason Statham enjoying his well earned vacation. 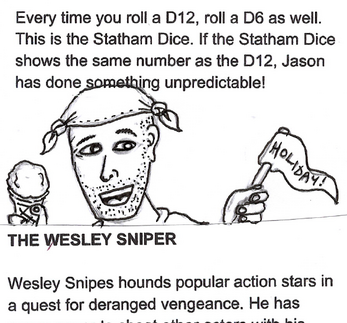 Unfortunately our fictional Jason Statham has two key problems, he’s dangerously impulsive and he’s being hunted by the Wesley Sniper. The players of JSBV have to defend our favorite film star from either freaking out, being arrested, or a variety of other terrible/hilarious fates. JSBV is a wacky and approachable take on tabletop RPGs and one that makes for a great evening with friends and drinks. The rules are only one page long so you’ll be playing before you down your first beer. If you want something similarly silly with less Wesley Snipes, check out one of Howitt’s other games: Honey Heist. I’m very bad at making art, but for a brief and shining moment EDGITOR made me feel like I wasn’t. I’ve always been attracted to the pixel art, so I was excited to see if EDGITOR could make me into an artist. The verdict? 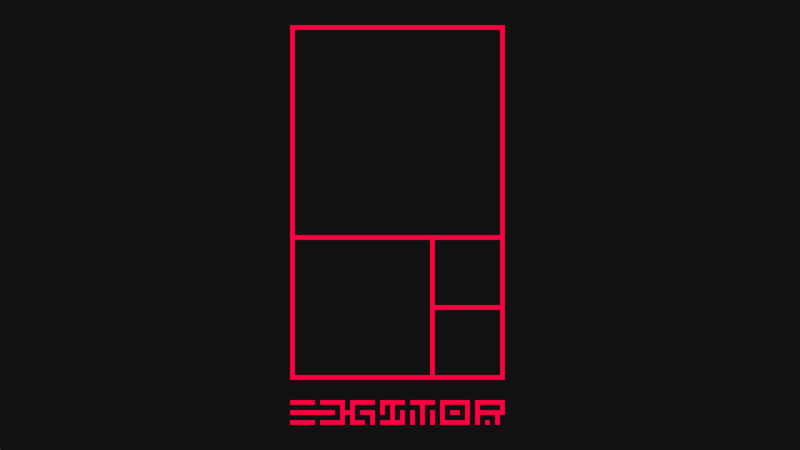 EDGITOR is a super accessible pixel art tool that let me quickly get ideas out of my head and into the editor. While none of my art looked good (I’ll take the blame on that one) I was struck by how convenient the existing tools in EDGITOR were. I obviously can’t speak to the usefulness of EDGITOR for professionals, but it’s great for casual doodling. It is worth mentioning that EDGITOR is currently in beta so expect a little bit of jank, but the dev team seems responsive enough that issues shouldn’t exist for too long. 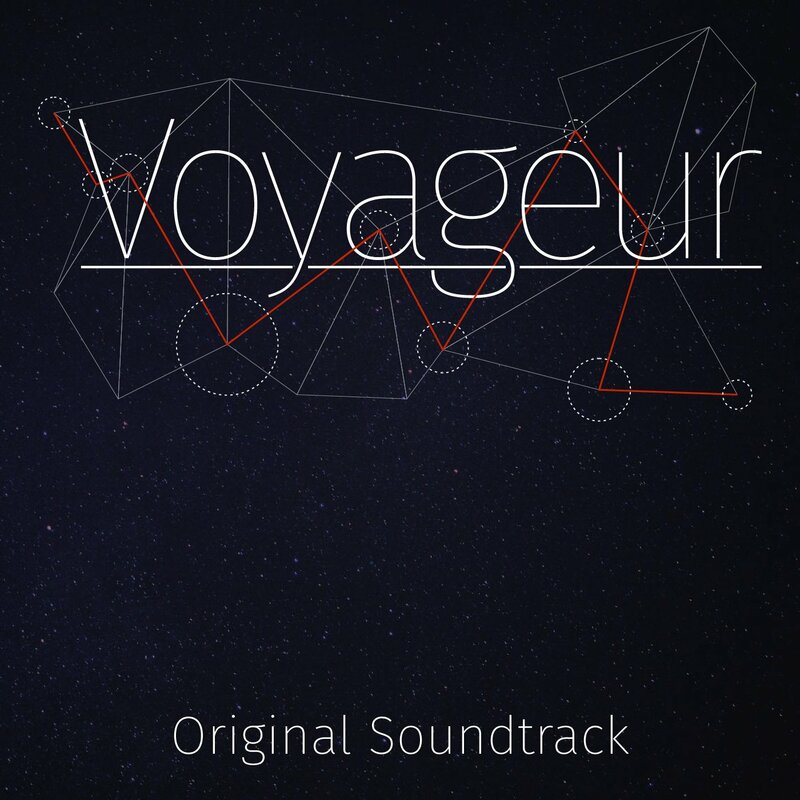 Voyageur is a good game. It’s got space, decisions, writing, and all kinds of other things that make for an interesting play experience. It’s great and you should totally check it out but that’s not what we’re here for today. I want to take some time to recommend the game’s soundtrack. A good soundtrack can make for a great play experience, and this is something composer Priscilla Snow has figured out with this release. These spooky soundscapes map perfectly to exploring the darker parts of space, but I’ve found myself listening to the soundtrack outside of playing the game. The mood is dark and mysterious but it never falls into the trap of being overly oppressive, there are neat effects that pair interesting percussive sounds with weird bitcrushed instruments, and at one point I swear I heard elements of traditional Americana filtered through space sensibilities. It’s a great soundtrack and one that I’ll definitely be listening to while I work for the foreseeable future. Have you been checking out non-gaming projects recently? Let us know which ones in the comments below. I'd love to see a similar post to this but about Itch.io comics! Lots of comic artists (like myself) find Itch.io a really good way to archive PDFs of our work as well as just make awesome storefronts. But-- aside from just PDFS, I know others put together psuedo comics that you can click thru; like the awesome Lady of the Shard. So seeing some of those included too would be great! Anyways-- before I ramble on too much; it's always awesome to see Itch.io putting out articles like this and I love how ya'll really try and pay attention to what's going on in the community. Thank you! Make sure he has a good time, okay? Please.